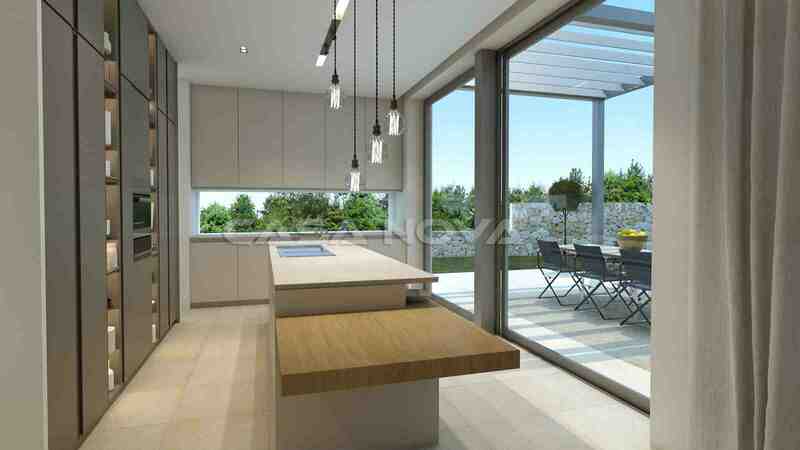 Properties in Santa Ponsa: This new construction villa under construction is located in a very exclusive and popular residential area on the villa hill of Santa Ponsa, in the southwest of the island of Mallorca. Completion is scheduled for 2020. The new building property is located on a plot of land of approx. 1096 m2. The planned living space is approx. 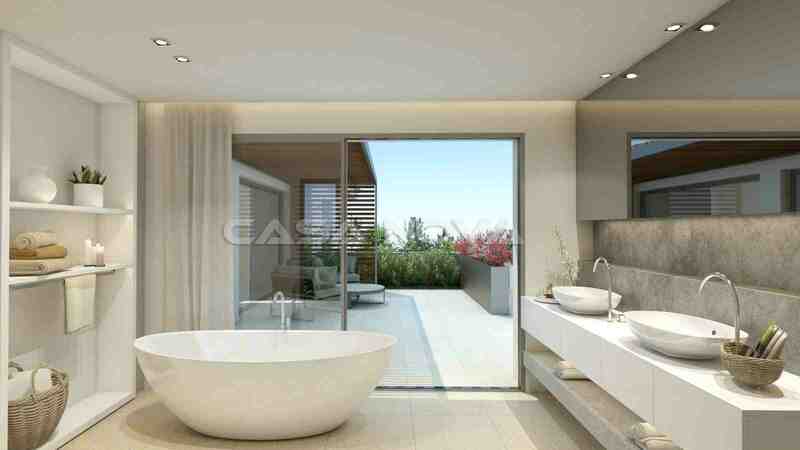 380 m2 plus terrace areas. 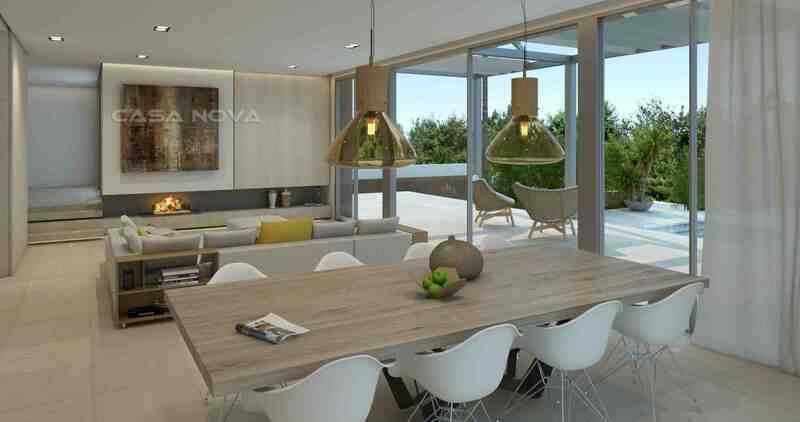 The Mallorca property is divided into a bright living/dining room with fireplace, a modern and open fitted kitchen, 5 bedrooms and 5 bathrooms, of which 4 en suite. A utility room and a storage room are also available. Further features are: Air conditioning h/c, underfloor heating via heat pump, double glazed aluminium windows, built-in wardrobes and stone floor. The outdoor area with its Mediterranean charm offers free and shady covered terraces and a private pool. Enjoy the advantages of a first-time occupancy of the property. Santa Ponsa has been a popular holiday and residential destination for decades. 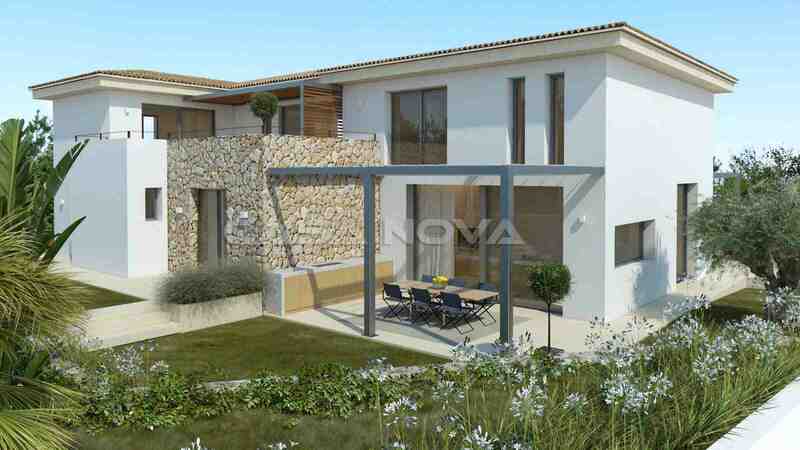 Especially Nova Santa Ponsa, the quiet suburb with the dreamlike villas and chalets has become for many desire for the purchase of a domicile. The perfect infrastructure makes it so special. A fine sandy beach, other small bays, many traditional and international restaurants and a variety of shopping facilities are in the area. There are three impressive golf courses of Mallorca alone in Santa Ponsa. The marinas Port Adriano and Puerto Portals are only a few minutes away by car. 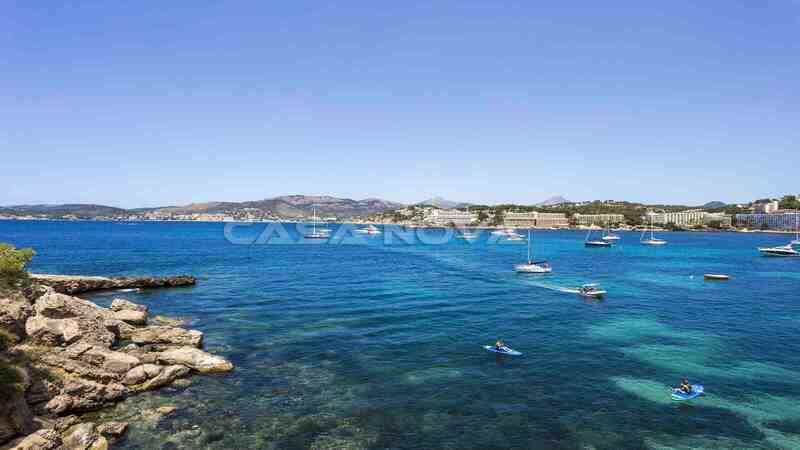 The capital of the island Mallorca is about 20 minutes away by car. Also to the international airport of Mallorca one needs only about 30 minutes by car. 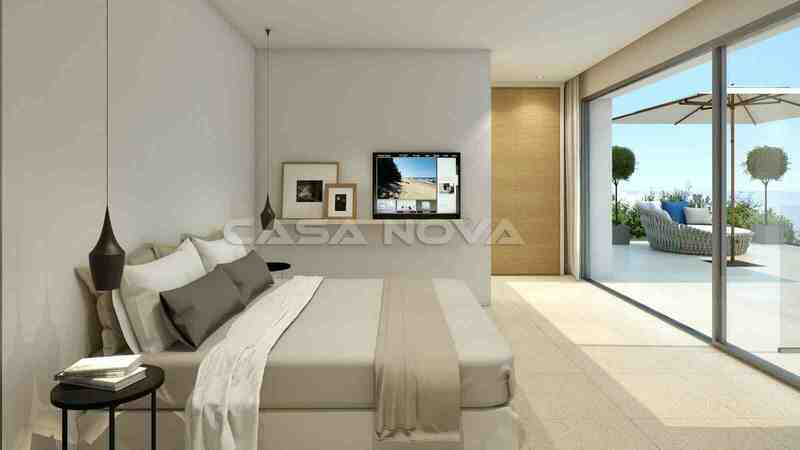 If you have any questions, please talk to us, your competent real estate agent in Mallorca, Casa Nova Properties in Santa Ponsa. There are no brokerage fees for the buyer.